INDUSTRY.co.id - Jakarta - Dell Indonesia is introducing the latest commercial laptop jajran designed to improve overall user performance, functionality and experience. 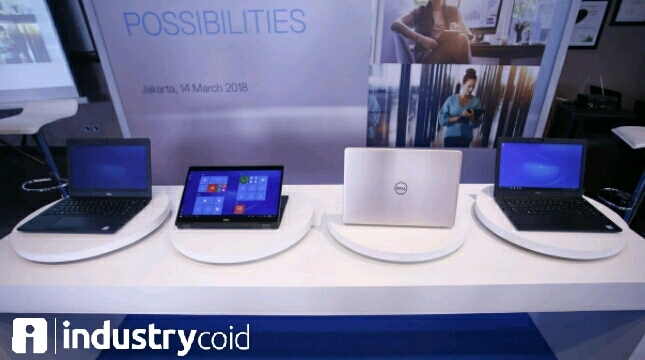 This time, Dell Indonesia launched 4 new commercial laptop products from Dell in 2018 namely Latitude 7290, Latitude 7390 2-in-1, Vostro 5370, Latitude 5290. Catherine Lian, Managing Director, Dell EMC Indonesia, said the launch of Dell Vostro and Latitude launched in response to market demand for thinner, lighter and more powerful devices to support the various ways people work. 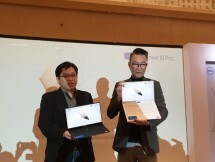 "Dell Vostro 13 5000 (5370) offers a slim and lightweight design with an aluminum bandage, as well as an IPS FHD screen," Chatherin in Jakarta, Wednesday (14/3/2018). The device features a large-capacity solid-state drive up to 512GB that allows users to store large amounts of content. Not only that, the laptop is also equipped with memory up to 32GB DDR4. To run graphics-laden applications, discrete graphics option RadeonTM 530 with GDDR5 memory up to 4GB is also available. The number of ports included on this laptop, including USB 3.1 Gen 1 Type-A, USB 3.1 Gen 1 Type-CTM, HDMI, micro SD, and SD card reader, to access their additional data. Meanwhile, Dell Latitude's portfolio is designed for mobile workforce, notebook portfolio and 2-in-1 commercial laptops. To that end, this portfolio has been fully upgraded with an Intel 8V dual-core processor and quad-core Intel Core vPro 15W. The Dell Latitude 7390 line has been updated with a thinner and lighter design. The Latitude 7390 2-in-1 series offers touch-enabled versatility and features an optional active pen supported by Wacom technology for quick recording. While the latest Dell Latitude 13 7390 comes with a choice of processors up to 8th generation Intel and PCle SSD for optimal performance. Dell offers a wide range of hardware and software security options for this laptop, including Dell ControlVault 2.0, contactless and fingerprint reader (contactless), fingerprint reader or infrared camera, ensuring the security of user information. Furthermore, Dell Latitude 5290 comes with a size of 12.5 inches. Important features included in this laptop include multi-factor hardware authentication such as fingerprint reader, FIPS 201Smart Card Reader, and Contactless Smart Card Reader NFC to prevent unauthorized persons from accessing the computer. All of Dell's commercial client solutions also include the ProSupport Plus option, which is the most complete after-sales service for enterprise customers in the technology industry, which incorporates 24x7 expert phone access, on-premise diagnostic services, hardware and software support, and proactive automated support services . This service can be accessed in more than 333 cities in Indonesia. All products are available in Indonesia. Dell Vostro line priced starting from Rp10, 3 million, while Dell Latitude line is offered with prices ranging from Rp13, 9 million.